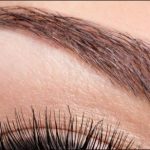 Most people require two sessions to get their ideal brow. Some skin types retain ink better than others. Microblading can take a few hours. Your eyebrows will not look identical. Your brows will lighten considerably after the first week. If your brows get messed up, they can be fixed.